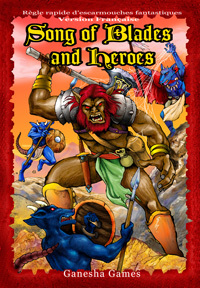 Song of Blades and Heroes (SBH) is a fast-play, skirmish-level fantasy miniature system for two or more players. The rules are simple, fast, and above all, fun. CONVENIENT: The game needs little space - a 60x60cm play area is enough. Bring all your armies in a shoe box!